Motorcycling is getting extremely popular in the United Kingdom and, as a result, more and more British bikers choose to visit France on their motorbike or scooter. Safety laws relating to motorcyclists have changed in France in recent years, so to ensure that you enjoy the freedom of the open road without suffering an accident or having a brush with the law, here are some key safety reminders. The vast majority of bike enthusiasts will be able to tell you about a particularly pleasurable road trip involving the French roads, heading to iconic destinations such as Toulon and Provence to name a few. You can still enjoy a safe trip to France but bikers should be aware of a raft of regulations that have been brought in that relate specifically to motorcyclists. Here are some of the main points to remember or be aware of. It is still illegal to filter through slow moving or stationary traffic in France and the French Motorcycle Federation has even accused the Police of cynically and deliberately slowing traffic with their cars on Paris’s ring roads in order to catch bikers slipping through the jam, so that they can fine them. Quite rightly, there are strict laws about the level of alcohol you are allowed in your body (0.5mg.ml limit) but bikers should also be aware that they should, in theory, carry a pair of breathalysers on them at all times, which are not expensive at about £6.50. That said and although by law a pair of breathalysers are compulsory to carry, if you are caught not carrying any, a fine is highly unlikely as this piece of legislation has not really been enforced. In accordance to French law, your helmet must be equipped with reflective stickers. Although this law has been effective for quite a long time, it is only recently that it has been enforced. Click here for further details. Biking is a lot of fun but it should never be forgotten that motorcycles are the smallest vehicles on the road and are always going to be potentially more vulnerable in a crash. The best safety advice you can give when it comes to riding your bike is to be extra cautious and even try to anticipate the moves of other vehicles, especially trucks. By all means enjoy your time on the bike, but those that ride with a degree of caution and even take a defensive approach to staying safe on the road will increase their chances of avoiding a crash or injury. The vast majority of motorcyclists take their personal safety very seriously and would not compromise this by not wearing or having the right clothing and equipment to wear. A good crash helmet is vital in order to protect you in the event of an accident and it is never worth cutting corners when it comes to cost or safety features, so always make sure that your modern day skid lid has a sticker to show that it meets Department of Transport compliance standards. The right protective clothing is also critical and it is never worth the temptation on a hot day to reduce your level of protection by leaving a few layers off as you never know when it may be needed to help you avoid picking up an injury that you could have otherwise avoided. As a biker, it is guaranteed that you probably already know all about these safety issues and guidelines, but they are reminders that you simply can’t hear often enough. This guest post has been written by Gillian Kearney who has extensive experience as a driving instructor. Her articles mainly appear on driving blogs. Visit the Theory Test Online link to learn more. 1. Breathalysers are NOT compulsory – the law was, quite rightly, scrapped as being unworkable. 2. Reflective stickers are NOT compulsory – I know hundreds of French bikers and not a single one of them has silly stickers on his/her helmet or anywhere else for that matter. I’ve also spoken to my local Gendarmerie, who’ve never even heard of such an obligation and certainly have no intention to enforce it. 3. Carrying spare bulbs is NOT compulsory, only advisable, so you won’t be fined for not having them. 4. If you come over in a car (heaven forbid! ), only ONE reflective jacket is required, NOT one for each passenger as is the common misconception. IT really galls me to see the list of “compulsory” equipment required in France displayed at each UK port, when 99% of it just ISN’T compulsory at all, but is simply a money-making con to make you buy said equipment from their shops! Guzzichris, it is entirely up to you if you do not want to follow the law whilst riding in France. We are making you aware of the requirements, it is entirely up to you whether you follow them or not. There are legal requirements that all bikers must follow. Some do follow them and some don’t, the choice is theirs. 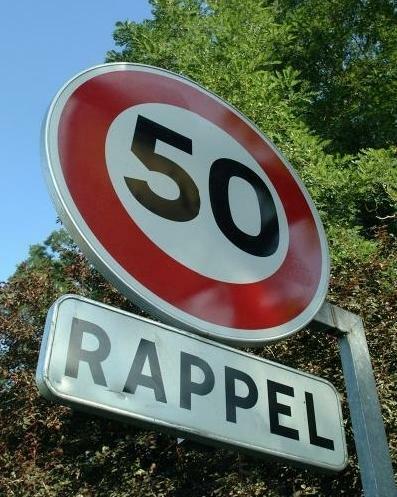 It is illegal in France to filter through stationary or slow moving traffic and we are very well aware that a large number of bikers do anyway regardless. It is up to them if they want to follow the law or not, but if they are caught by a cop who is having a bad day, they will be fined and have points taken off their licence. The choice is yours but bear in mind that not all French cops are friendly and understanding. I absolutely agree with you re the lane-splitting/filtering issue, at the moment that is still illegal, you will notice that I didn’t mention that in my reply, it was the other issues I was replying to. The compulsory carrying of breathalysers is not compulsory. Gary, this one is very dodgy. It is in theory compulsory to carry breathalysers but very few people do so because failure to carry some is not really being sanctioned. So if you are caught not carrying breathalysers with you while riding, you are unlikely to be fined – at the most just told off – hence why most people don’t bother. I accept that the post was not totally clear on this point so it has been amended accordingly. No no no, Gary is absolutely right, carrying a breathalyser is NOT compulsory, the law was SCRAPPED, it’s not a question of “unlikely to be fined” – thre is NO law to fine you about. Please get your facts right before panicing people (or ask people who actually live in France). No, the text is still there but not enforced. It has been the subject of a lot of debate though. To answer your question, please note that we are a group of French and British nationals split between the 2 countries. Thanks all for the information and discussion guys. All your opinions are respected. I’m riding to France in 10 days on my Piaggio MP3 500ie, with one of my sons on my (sorry his now lol !) BMW R1100RT and our ladies and we are really looking forward to the trip. We will err on the side of safety and carry breathkits and spare bulbs, we will wear hi-viz, ride with our lights on ( my machine is French so I don’t have a choice anyway), avoid filtering and put some reflective stickers on our helmets. All to be on the safe side. When in Rome do as the Romans do, or at least are supposed to do !! Incidentally, thanks are owed to the Harley Davidson shop in Boulogne with regard to helmet stickers. We went over for a recce day (shhhh in the car) because my son had never driven in France before and we had just been alerted to the helmet sticker problem. My retailer and their wholesalers knew nothing about helmet stickers and didn’t know how or where to get any either. Passing the Harley shop, on the off chance, I went in and was helped by a charming young lady who spoke excellent English (my French was struggling with the technical nature of the conversation) and she gave me a set of stickers F.O.C. Using those and the instructions in your article, we will do the best we can to equip our helmets. They might not be perfect but if they survive the first passing glance, chances are the police won’t look further. I might sound old and crusty and too good to be true but what is true in that bit about catching the cop when he’s having a bad day and suffering for it. I’m an ex motorcycle cop myself and although I never took my bad days out on the travelling public, there are plenty who will and who enjoy it too. It is up to us all how we spend our money – we’d rather spend ours here buying the extras and getting it right than paying fines in France. There are old motorcyclists and there are bold motorcyclists, but there are no old bold motorcyclists. Anyone know tinted helmet visors are legal in France? I’m planning a trip to France in July. I plan to take both clear and dark tint visor with me. Does anyone know if tinted visors are legal in France? I am an italian who lives in england and travelled on my motorcycle throgh France over 20 times. but know i no longer travel to France. Any State that belives we should be focusing on a speed does not understand safety, its nonsense, we should be concentrating on a driving, driving within the speed limits is not an indication of safety or risk. As bikers we know its attitude and eperience. AVOID France, it is just theft and fear. Hi just found your site about reflective helmet stickers in France, My query is, I have looked at the requirements area/ size of stickers if this is the minimum size or could you have larger.